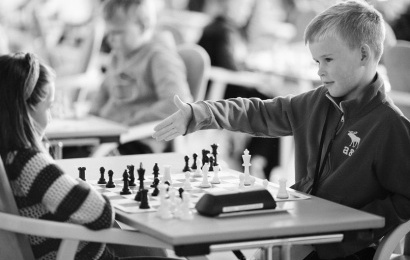 During the Chess Olympiad potential chess masters of the future met for battle at the banquet hall of the Red Bank in Tromsø. With around 70 participants, there were many small heads and hands in action. Every day is a chess feast during the Olympiad, but one particular event stands apart from the rest – the Bermuda Party! We take a glimpse back at an event that gathered a huge crowd on the eve of the first rest day.